After her journalism career ends in disgrace, Cassie Collins escapes to sunny Orlando to start over as a theme park blogger and reviewer. But after an impossible call from a dead movie star, Cassie can’t resist the lure of real news again, even when she finds her past catching up with her – and when she finds herself caught up in a dangerous world of magic she never knew existed. 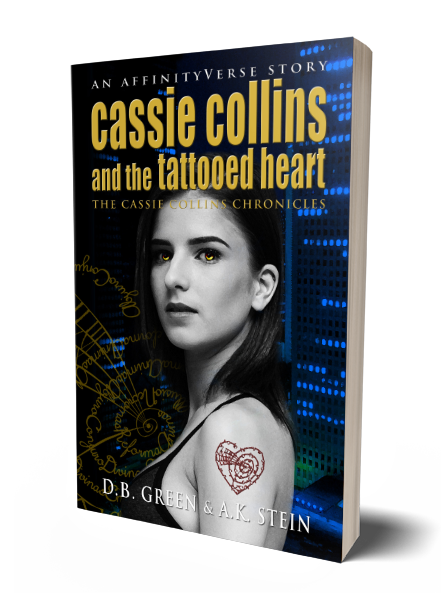 Cassie Collins and the Tattooed Heart is Book 1 in The Cassie Collins Chronicles – a fantasy thriller series which will give you that thrill ride of fast paced, event TV. Twists and turns that will not only keep you on the edge of your seat, but have you clinging to it for dear life. DOWNLOAD THE E-BOOK FOR FREE!